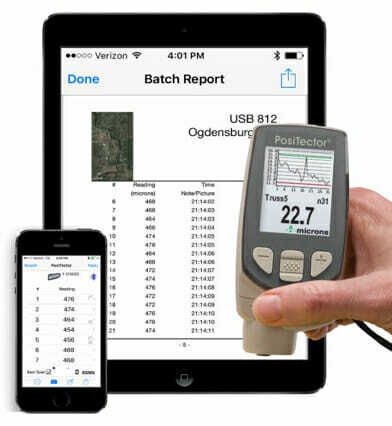 PosiSoft Software is included with Memory versions of our PosiTector 6000 coating thickness gauges. It is an option for our PosiTector 6000-2, 200, DPM, UTG and PosiTest AT. 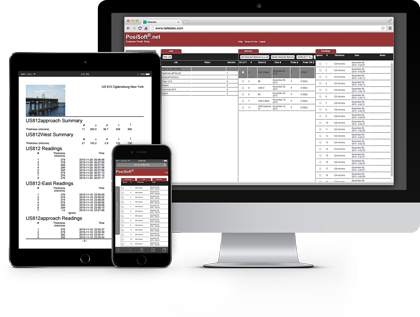 PosiSoft® Software for Windows® is an ideal solution for those who wish to download measurements to a P.C. for printing or archiving. Simple installation and easy-to-use graphical user interface. Support for Windows 2000 SP3+, XP and Vista. Multi-language support including English, German, Italian, Spanish and French languages. Readings can be saved in user specified delimited text files for easy import into Access, Excel, Lotus and other software programs. 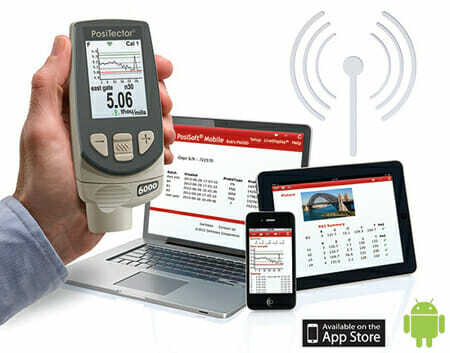 The PosiTector App connects PosiTector Advanced gauges*, the PosiTector SmartLink, and PosiTest AT-A automatic adhesion testers* to your smart device. PosiSoft.net by DeFelsko is a web-based application offering secure centralized management of PosiTector and PosiTest AT-A readings.